Dr. Pressman is currently The Henry A. Thiede Professor and Chair of The Department of Obstetrics and Gynecology at The University of Rochester. 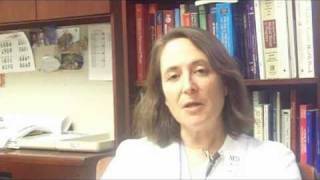 She formerly served as Director of Maternal Fetal Medicine and Director of the MFM Fellowship training program. She completed her undergraduate training at Brown University and received her medical degree at Duke University School of Medicine, where she was elected to Alpha Omega Alpha Honor Society. Dr. Pressman did her residency training in OB/GYN as well as a fellowship in Maternal Fetal Medicine at Johns Hopkins University. 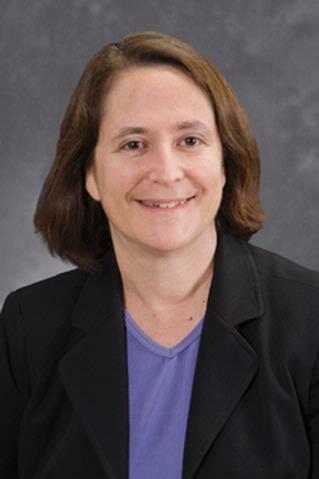 Before coming to Rochester in 1999, Dr. Pressman was an Assistant Professor at Johns Hopkins from 1994-1999, where she was also Associate Director of the Ob/Gyn Residency Program, Director of the Fetal Assessment Center, and of the High Risk Obstetrical Clinic. Dr. Pressman is Board Certified in Ob/Gyn and in Maternal Fetal Medicine. Delaney KM, Guillet R, Fleming RE, Ru Y, Pressman EK, Vermeylen F, Nemeth E, O'Brien KO. "Umbilical Cord Serum Ferritin Concentration is Inversely Associated with Umbilical Cord Hemoglobin in Neonates Born to Adolescents Carrying Singletons and Women Carrying Multiples." The Journal of nutrition.. 2019 Feb 15; Epub 2019 Feb 15. Lynch TA, Olson-Chen C, Colihan S, Meyers J, Holloman C, Li D, Link H, Torres P, Kim A, King DJ, Eckman C, Varlamov A, Dexter S, Pressman EK, Soto-Torres E, Malshe A. "Preterm Prelabor Rupture of Membranes: Outcomes with Expectant Management until 34 versus 35 Weeks." American journal of perinatology.. 2018 Dec 15; Epub 2018 Dec 15. Ru Y, Pressman EK, Guillet R, Katzman PJ, Vermeylen F, O'Brien KO. "Umbilical Cord Hepcidin Concentrations Are Positively Associated with the Variance in Iron Status among Multiple Birth Neonates." The Journal of nutrition.. 2018 Nov 1; 148(11):1716-1722. Does Light Drinking During Pregnancy Hurt Babies?